The Best Landscaping blogs from thousands of top Landscaping blogs in our index using search and social metrics. Data will be refreshed once a week. 2.105 Environmental Landscaping & Design Inc.
Landscaping newsletter is a comprehensive summary of the day's most important blog posts and news articles from the best Landscaping websites on the web, and delivered to your email inbox each morning. To subscribe, simply provide us with your email address. Tuscaloosa, Alabama About Blog The leading information source for the landscaping industry and landscaping professionals. Total Landscape Care provides up-to-date information on industry news, business strategies, equipment and project ideas for landscapers. Here you will find landscape design, ideas, news, and products for landscape and lawn care. Facebook fans 64,702. Twitter followers 12,992. United States About Blog Turf advances the growth and profitability of the landscape industry by providing green industry business owners with information on emerging trends, best practices, operational efficiencies and business development. Launched in 1988, Turf is the only national publication serving landscape contractors that also offers four regional editions. Facebook fans 5,553. Twitter followers 5,562. San Francisco, CA About Blog A place to post about and discuss anything related to landscaping. Facebook fans 1,129,409. Twitter followers 495,800. About Blog Lawn and Landscape Business magazine offers landscaping contractors and lawn care operators the latest information on business management, lawn care products and equipment, landscape design and installation, lighting, irrigation contractor resources, weed and lawn pest control, hardscape resources, turf maintenance and more. Facebook fans n/a. Twitter followers 21,479. Cleveland, OH About Blog Founded in 1910, Landscape Architecture Magazine (LAM) is the monthly magazine of the American Society of Landscape Architects. It is the magazine of record for the landscape architecture profession in North America, reaching more than 60,000 readers who plan and design projects valued at more than $140 billion each year. Facebook fans 9,344. Twitter followers 15,110. Rustington, England About Blog Pro Landscaper provides researched and detailed information to its audience. An authoritative team of industry experts interpret everything new in landscaping and fill the knowledge gap. Facebook fans 2,258. Twitter followers 11,577. Allendale, NJ About Blog Borst Landscape & Design is the premier landscaping company in Bergen County, NJ. We're an award-winning, nationally recognized landscape design and build firm. Here you will find Inspiration, ideas, and how to's on the following topics - Landscape design, landscape build & landscape maintenance. Facebook fans 592. Twitter followers 128. Medfield, MA 02052 About Blog The Garden Continuum provides Landscape Design, Installation and Fine Gardening for homeowners and businesses that care about their environment and want beauty around them. Here you will find landscape advices, innovative practices & conscious gardening. Facebook fans 824. Twitter followers 649. U.S About Blog Neave Group Outdoor Solutions is a full service outdoor solutions company with services ranging from pool & landscape design, build & construction, to commercial and residential outdoor facility and home maintenance. Here you will find ideas for landscape design, landscape management, landscape construction, snow and ice management. Lancaster, PA About Blog At Tomlinson Bomberger Lawn Care, Landscape & Pest Control, our philosophy is built on honesty and trust. we strive to find the best solution to meet your individual needs. Beautiful lawns, landscapes, and worry-free environments begin at Tomlinson Bomberger. In this blog you will find tips for Lawn Care, Pest Control, Tree & Shrub Care and Landscape Design. Facebook fans 872. Twitter followers 970. Sykesville, Maryland About Blog Rhine Landscaping prides itself on providing clients with individualized service and attention to detail that is unsurpassed in the industry. Read through our landscaping ideas blog for tips, tricks and other free advice regarding your landscaping and hardscaping in Maryland. Facebook fans 185. Twitter followers 254. About Blog The Dirt Simple blog features landscape design and garden observations by Deborah Silver, a landscape and garden designer and owner of the Detroit Garden Works retail store. We have been writing this blog since April of 2009 that addresses both horticultural and design issues in the the landscape. Facebook fans 11,497. Twitter followers 300. Facebook fans n/a. Twitter followers 27,215. London, UK About Blog Fantastic Gardeners tackles a wide range of exterior maintenance and design projects with professionalism and expertise. Enjoy your time and read some of the most exciting articles and news from the world of gardening and landscaping. Facebook fans 1,517. Twitter followers 1,204. Cape Town About Blog Cape Contours provide a variety of quality landscaping services.Landscape creation, implementation & maintenance for residential and commercial properties. Explore our gardening blog for landscaping tips, news and reviews. Also Cape Contour's garden design specials and inspiration from around the world. Facebook fans 4,557. Twitter followers 129. Africa About Blog The Landscapes for People, Food and Nature Initiative and international collaboration of anti-hunger, anti-poverty, and nature conservation organizations focused on promoting landscape approaches to solving the world's most pressing problems. Facebook fans n/a. Twitter followers 1,140. About Blog Toemar is Mississauga's one-stop garden centre. We offer a full range of landscape and garden supplies and products to fit the needs of our customers. Get the latest news and ideas from our landscaping and gardening blog. Facebook fans 1,501. Twitter followers n/a. Mesa, AZ About Blog Unique Companies specialize in all aspects of Phoenix landscaping, pool construction and swimming pool remodeling. Facebook fans 1,748. Twitter followers 160. Austin, TX About Blog All the latest tips, trends and insights to keep Texas commercial property landscapes beautiful and healthy. Native Land Design offers commercial landscape maintenance services for properties across the state of Texas, with offices in Austin, Houston, and McAllen. Facebook fans 677. Twitter followers 94. Portland, OR About Blog Ross NW Watergardens is a full service design/build landscape firm serving the Portland Oregon area. They specialize in custom residential landscapes with a focus on water features and hardscapes. Facebook fans 109. Twitter followers 830. Sycamore, Illinois About Blog Blumen Gardens has evolved from a small garden design business into a full-service landscaping company with a year-round garden center. Stay updated on events, flower and plant sales, and landscaping tips through the Blumen Gardens blog! Facebook fans 6,011. Twitter followers 694. Canada About Blog Alljobs specializes in a wide variety of landscaping needs, from lawn maintenance to developing and constructing new landscape projects. We are committed to providing our customers with high standards of landscaping excellence while maintaining personalized care for individual landscaping needs. Facebook fans 733. Twitter followers 1. Saxtons River, VT, USA About Blog Home Outside is the name of an online landscape design service and app created by Julie Moir Messervy Design Studio (JMMDS), a landscape architecture and design firm in Saxtons River, Vermont. The Home Outside® Palette app is a landscape design app for smartphones, tablets, &desktop, with all the tools you need to create designs, share them with friends and family, & get design help from JMMDS. Facebook fans 280. Twitter followers 171. Sydney About Blog Harrison’s Landscaping is an award winning landscape design and construction business operating for nearly 10 years. With our extensive and experienced team Harrison’s provides a complete turn-key solution including garden design, landscape construction, pool building and garden maintenance. Get the latest landscape design tips & ideas from the experts at Harrison's Landscaping. Facebook fans 6,740. Twitter followers 266. United Kingdom About Blog The Supreme Landscaping Products company was created to provide the Landscaping, Paving, Construction and DIY sectors with easy access to top quality Landscaping Products and solutions. We aim to provide the Landscaping, Construction, Paving and DIY sectors with a comprehensive range of quality hard landscaping products products they can purchase online. Facebook fans 258. Twitter followers 4,875. Maryland About Blog Allentuck Landscaping Co.has been creating beautiful environments for people to enjoy for over 22 years. Facebook fans 522. Twitter followers 449. Baton Rouge, Louisiana About Blog GreenSeasons provides quality Landscaping, Lawn Care and Pest Control services to residents in Greenwell Springs and Baton Rouge, New Orleans, LA. Here you will find ideas for landscaping, lawn maintenance, pest control and home projects. Facebook fans 1,098. Twitter followers 34. About Blog Earth First is one of Houston's premier landscape, irrigation and maintenance contractors. Beautiful Dublin, Ireland About Blog Peter Donegan is an award winning landscape gardener and garden designer. He has been gardening since he first grew radish seeds with his grandad at the age of 5. It all grew from there.... Peter went on to study horticulture for 4 years. In 2001 Peter set up Donegan Landscaping. Facebook fans 689. Twitter followers 4,348. Toronto, Ontario About Blog My Landscapers is a Toronto based devoted company that strives on success and clients' satisfaction in the lawn maintenance business. Specializing in sodding. Facebook fans 6,261. Twitter followers 3. About Blog Kerr & Kerr has been serving the tri-cities since 1994, holding quality at the very peak of their expectations. In the beginning, the fleet consisted of 1 pickup truck and a push mower, to present day Kerr & Kerr has 7 trucks on the road, various lawn maintenance, landscaping and excavating equipment. Here you will find lawn care maintenance tips for the Guelph, Kitchener, Waterloo area. Facebook fans 576. Twitter followers n/a. Knoxville TN About Blog Lawn Butler provides exceptional lawn maintenance, mulch blowing, landscape, and hardscape design and installation services to Knox county and surrounding areas. Facebook fans 319. Twitter followers 75. Western Australia, Australia About Blog Dan’s Landscaping was established in Perth after recognition of demand in the market for a company who offers all aspects of landscaping. Our main focus being on quality and customer satisfaction. Facebook fans 1,309. Twitter followers 13. Facebook fans 726. Twitter followers 938. Aurora, Illinois About Blog Green T is a locally owned lawn care provider that has made a name for ourselves in the industry with a dedication to delivering quality service and complete customer satisfaction. Facebook fans n/a. Twitter followers 2,848. Minneapolis/ St paul About Blog A design company that will inspire new concepts in how you can enjoy your outdoor spaces and then help you work towards the completion. We provide consultations, design, and project managment. Facebook fans 436. Twitter followers 353. About Blog Lawn Butler is a full service landscaping company. We offer a wide range of services from weekly maintenance to landscape construction and development projects. We have many full licensed specialist in the landscape industry on staff. Stay up to date with latest trends and industry best practices with the Lawn Butler blog. Washington, DC About Blog At Level Green Landscaping, we bring extensive commercial landscape experience to your property. From recommending plants that can thrive in urban spaces, where water management is an increasingly critical issue, to planting some color in time for a special event, we take pride in providing creative solutions to increase the value and enhance the appearance of your property. Facebook fans 343. Twitter followers 236. Chagrin Falls &Valley City, OH About Blog Since 1989, The Ohio Valley Group has been the experienced landscape partner of homeowners, property managers, businesses and commercial developers. Facebook fans 1,984. Twitter followers 94. Gainesville, VA About Blog JK Enterprise offer a broad range of landscape products, services and Do-it-yourself tips designed to save you time and money. Facebook fans n/a. Twitter followers 726. Facebook fans n/a. Twitter followers 545. About Blog Klausing Group is an award winning company providing landscape and snow management facility services from our offices in Lexington & Louisville Kentucky. Facebook fans 675. Twitter followers 31. Burlington, ON Canada About Blog Paramount Landscaping is a full service landscaping company that operates within the greater Burlington and Oakville region, including Waterdown, Flamborough, Carlisle and Mississauga. Facebook fans 308. Twitter followers 85. Los Angeles California About Blog Enviroscape L.A. is a full service landscaping & water feature company specialized in sustainable native garden landscape design, drip irrigation and rain water harvesting systems,native gardens, ponds & waterfalls. Facebook fans 907. Twitter followers 283. Facebook fans 3,590. Twitter followers n/a. North DFW About Blog The Landscaping Blog from JC's Landscaping provides advice, tips and insight on yard care from one of the most reliable and professional services in Dallas. Facebook fans 286. Twitter followers 32,262. North Vancouver, BC About Blog West Coast Lawns provides top-quality lawn care services to the communities of North Vancouver, West Vancouver, Burnaby and New Westminster. Here you will find landscaping & gardening tips. Facebook fans 155. Twitter followers 50. Toronto About Blog Landcon is Toronto based Landscape design company that specialises in Landscaping and Gardening jobs. Know about the latest trends in landscaping through our landscaping blog. Facebook fans 150. Twitter followers n/a. About Blog Professional landscaping and garden design company, providing a first class landscape gardening service across Surrey and Greater London. Facebook fans 12. Twitter followers 594. Poughkeepsie, NY About Blog Lehigh Lawns and Landscaping, Inc. takes great pride in making your landscape into a manicured showcase for everyone to enjoy. Experienced in the green industry since 1987. Facebook fans 587. Twitter followers 135. Burlington, ON About Blog Garden Grove is an innovative and progressive full service landscape company providing high quality services to a diverse range of clientele. Our service region extends throughout the Greater Toronto Area (GTA) including Hamilton-Wentworth, Ancaster, Burlington, Oakville, Mississauga, Georgetown, Milton, Halton-Hills and Stoney Creek. Facebook fans 669. Twitter followers 177. About Blog Terra Nova Landscaping is a full service Landscaping company & design. We specialize in all residential & commercial exterior construction and can take on any of your outdoor project needs from a basic landscape to your extravagant outdoor living space. Spring, TX About Blog Landscaping and Swimming Pool Builder. We do it all outside. Turn key outdoor construction. Pools, Spas, Landscaping, Pergolas, Outdoor Kitchens, Fire Pits, Structures, Irrigation, Drains, Lighting, Mosquito Systems,etc. Facebook fans 1,672. Twitter followers 14. North Ridgeville, Ohio About Blog Schill Grounds Management is a locally-owned and managed commercial landscape management contractor and snow and ice removal service provider. Facebook fans 527. Twitter followers n/a. Memphis, Tennessee About Blog EA Quinn is a CT landscaping company offering residential and commercial landscaping services including landscaping design, stonework and pavers, and more. xplore our landscaping blog for landscape maintenance tips and landscaping information from EA Quinn, a landscaping company based in CT.
Facebook fans 522. Twitter followers 93. Bluemont, VA About Blog Epling Landscaping & Lawn Service is Loudoun County’s “single source” company for a beautiful and trouble-free lawn and landscape. Facebook fans 165. Twitter followers 23. New Jersey About Blog High Tech Landscapes is a New Jersey landscape architect and construction company providing residential and commercial services, lawn care, and maintenance. Here you will learn how to design your residential or commercial property, care for your plants, and make your lawn stand out and last long. Facebook fans 1,313. Twitter followers 155. London, England About Blog The Landscaper is the UK's No 1 landscaping industry magazine. Subscribe to get latest updates from this magazine in your inbox. Facebook fans 197. Twitter followers 3,747. Facebook fans 457. Twitter followers n/a. About Blog Proper Landscaping Inc. is a group of dedicated and passionate professionals who love to make green spaces beautiful. We have been providing quality grass cutting and property maintenance for over 15 years, with many long-term contracts and repeat clients. Seattle, WA About Blog Kaleidoscope Inc. Landscape Professionals providing fine gardening, lawn and landscape service to residential and estate properties in Seattle since 1983. Facebook fans 110. Twitter followers 463. Stoke Newington About Blog This blog explores landscape through the arts: painting, installation, photography, literature, music, film... I've also on occasion covered the creation or alteration of landscapes by architects, artists and garden designers. Facebook fans n/a. Twitter followers 1,906. Pensacola, FL About Blog Executive Landscaping, Inc., located at 1436 East Olive Road, Pensacola, Florida, opened in 1984 with a vision of being the best landscape company in the Pensacola area. Our Executive Landscaping blog offers informative post covering a variety or topics from residential landscaping to commercial landscaping insights and tips. Facebook fans 864. Twitter followers 581. Denver, PA About Blog Earth, Turf, & Wood Inc. is a high-end residential landscape and hardscape company. In this blog you will find helpful articles with tips, advice and news relating to landscaping, hardscaping and all things outdoor living. Facebook fans 727. Twitter followers 631. Arkansas About Blog Going The Extra Mile is a locally-owned landscaping company that has been serving clients in Central Arkansas since 2006. Edmonton & Calgary Alberta About Blog Little Creek Landscaping is a company that runs on Integrity and trust! From Design to install. We do it all. We like to make YOUR outdoor living dream come to life! Here you will find Yard Landscape Design Ideas, Tips & Trends. Facebook fans 709. Twitter followers 65. Binghamton, NY About Blog Turf Grow is a high-end residential lawn and landscape maintenance company serving clients in and around the Binghamton area. Here you will find Landscaping Tips & Organic Lawn Care Tips. Facebook fans 1,030. Twitter followers n/a. About Blog Vista Landscaping is an experienced designing, building, and maintenance company serving Greater New Orleans area. From landscape design and installation to pools, patios, lighting, fences, and outdoor kitchens, Vista can create an outdoor experience that you love. Facebook fans 620. Twitter followers n/a. Facebook fans n/a. Twitter followers 6,900. About Blog High Prairie Landscape Group is a landscape company with a passion for creating and maintaining true high-style landscapes and outdoor living rooms. Here you will find seasonal tips and advice on landscape maintenance, yard and lawn tips and outdoor living ideas. Facebook fans 405. Twitter followers n/a. Sabillasville, MD About Blog Kingdom Landscaping is a family-owned-and-operated business specializing in landscaping, waterscaping, and hardscaping. Facebook fans 93. Twitter followers 767. Easton MA About Blog Native plant horticulturist, designer and gardener revitalizes your gardens, lawns and landscape, specializing in organic land care in the Easton MA area. Florida, USA About Blog Plant Care Interiorscapes is one of the leading plantscaping and plant maintenance companies in South FLorida. We have been servicing Dade, Broward and Palm Beach Counties since 1985. Facebook fans 295. Twitter followers 2. Glen Burnie, MD About Blog Evergreen Gene's is a Gardening & Landscaping Center in Anne Arundel County offering gardening gifts, gardening supplies, perennial flowers, residential & commercial landscaping services & more. Facebook fans 277. Twitter followers 23. San Diego About Blog Juniper Landscape Company is a complete professional landscaping service with a wide-range of experience from large commercial properties to smaller custom jobs. Juniper Landscape Company provides with a wide range of expert services including lawn care design, maintenance and installation of everything from foliage to waterfalls. Facebook fans 257. Twitter followers 76. Facebook fans 195. Twitter followers 511. About Blog Masterpiece Landscape serves the Twin Cities Metro area providing residential & commercial landscape services & gardens. Here you will find Expert Landscaping tips, concepts, experiences and information. Facebook fans 194. Twitter followers n/a. About Blog Indian Run Landscaping is the professional landscaping team that can design and install your landscaping needs and dreams. Here you will find post about seasonal landscaping needs, landscaping tips, our recent projects, and other landscaping items. Facebook fans 168. Twitter followers n/a. About Blog Summit Lawn and Landscape is a full service landscape construction and and lawn maintenance company serving Northern Colorado. Facebook fans 126. Twitter followers n/a. About Blog Prescott Landscape Professionals can help you with all your landscaping and yard design needs, including lawn maintenance and landscape design. Silver Spring, MD About Blog American Landscaping Inc. is a family-owned full-service landscaping business established in 1975. Facebook fans 60. Twitter followers 216. About Blog Landscapism is inspired by a long-standing and widening interest in all things relating to landscape, topography and sense of place; a platform to explore and promote landscape-related themes and ideas, stories and activities; to encourage greater inter-connectivity between different disciplines and areas of interest. Facebook fans n/a. Twitter followers 2,682. Washington, D.C. About Blog Thomas Rainer is a registered landscape architect, teacher, and writer living in Washington, D.C. A blog about the form, meaning, and expression of designed landscapes. Thoughtful articles about green and sustainable gardens, and a general exploration of what makes good design. Content heavy posts are updated several times a week. Facebook fans n/a. Twitter followers 2,798. About Blog Express Landscape Products was founded in 2001 and is focused on providing quality landscape products and services to residential and commercial property owners. This blog will talk about landscaping products such as recycled rubber mulch, landscape mulch, playground chips, compost, blowing landscape products and more. About Blog South Park Nursery & Landscaping provide all landscaping services for commercial and residential properties, including landscape design, irrigation services and a fully stocked nursery. Facebook fans 132. Twitter followers n/a. Ottawa, Ontario, Canada About Blog Natural Impressions Landscaping is based out of South East Ottawa. Our main focus is on garden installations, sustainable landscaping, rain gardens, no mow landscapes and eco-friendly landscaping. Facebook fans 254. Twitter followers 1,087. About Blog Liberty Tree & Landscape Management has been providing tree and landscape services and care for over twenty years. We always provide a responsible and environmentally sensible approach. Helena, Alabama. About Blog My name is Deborah Elliott. I live in the wooded land in Helena, Alabama. I am a certified master gardener. I have learned everything I know about gardening from books and journals, other gardeners, and the hard master of trial and error. The purpose of this blog is to share my garden and to offer inspiration and advice to other gardeners. Boston, MA About Blog A Yard & A Half Landscaping is committed to sustainable and organic practices. "A Blog & A Half" provides tips and tricks to help make your home, garden, and lawn beautiful. Facebook fans 241. Twitter followers 759. Vancouver, BC About Blog BUR-HAN provides quality garden care & lawn care services in Vancouver & Lower Mainland including weekly lawn cutting, aeration and garden landscaping. Facebook fans 142. Twitter followers 12. About Blog Crowley Landscape Management provides professional landscaping services to businesses and homeowners in the Portland area. Read our landscaping blog for year-round tips and tricks on beautifying your yard or commercial outdoor space. Facebook fans 434. Twitter followers 12. About Blog By Design Landscapes, Inc. is a professional landscape provider located in Central New Jersey. The company takes pride in servicing residential and commercial developers, general contractors, property management companies, commercial property owners and landscape architects throughout the state. Facebook fans 1,188. Twitter followers n/a. About Blog Jack Donohue is the Owner of Timber Works Tree Care. Here at Timber Works Tree Care, we care about our customers, your trees, and your property. Each job is a chance to show you our great attitudes, strong work ethic, and a desire to meet and exceed every customer’s expectations! Your resource for tree care tips and landscpaing tips. Facebook fans 349. Twitter followers n/a. About Blog Twisted Oak Landscaping is a customer-focused company which provides the best lawn and garden care throughout Toronto and the GTA. We take great service seriously because we care about our customers. Our carefully selected services keep us focused on our goal: to make your lawns, gardens and trees look the best on the block! Facebook fans 37. Twitter followers n/a. About Blog For more than 20 years, we have been providing outdoor landscaping solutions that add value and functionality at a competitive price. We specialize in landscape management, while offering a broad array of services, including snow removal and hardscape installation. Our team works as hard as they can to provide you with a lawn and a landscape you can be proud of. Southampton About Blog Aura Landscapes all started with our Director Mike. He's worked in the landscaping industry for over 16 years and after completing his university degree in Architectural Technology, decided to start Aura. Facebook fans 388. Twitter followers 1,633. About Blog D & A Dunlevy Landscapers, Inc. is a full service landscape company that provides exterior solutions to its residential and commercial customers. Facebook fans 221. Twitter followers 14. Saratoga Springs, NY About Blog Jesse Elwert Peters is an ecologist, eco-friendly landscape designer, consultant, garden coach and writer with her business, Jessecology. Here you will find great info about native plants & organic gardening, plus a ton of other cool eco-friendly tips, news and really good stuff! Facebook fans 972. Twitter followers 1,027. San Diego, CA About Blog Le Perv Landscape is a professional landscaping company that can help you with all of your landscaping needs. We specialize in everything from a simple mow to planting trees and lawn designs. We pride ourselves on service and care about every single customer. Facebook fans 92. Twitter followers 66. Azle, Texas About Blog Xtreme Lawn Care has been servicing the Fort Worth, Arlington, Azle & Keller area for over 18 years. Welcome to our blog of helpful tips and info on your lawn and garden! Facebook fans 883. Twitter followers 12. 105. Environmental Landscaping & Design Inc.
Long Island, New York About Blog Environmental Landscaping & Design Inc. is a full service landscape company. Their Design-Build-Manage philosophy allows them to deliver the fullest range of services in the industry. Facebook fans 278. Twitter followers 27. About Blog Las Vegas landscaping featuring high-end landscape design, flawless installation & impeccable maintenance for residential or commercial. Local Las Vegas landscaper blog featuring desert landscaping specials, tips, photos, and ideas. Facebook fans 51. Twitter followers n/a. About Blog Perth Landscaping & Gardening is your locally owned and operated business offering professional Landscaping and Gardening services to domestic and commercial clients. Here you will find tips and ideas for lanscaping. Facebook fans 696. Twitter followers n/a. About Blog Elm is a Toronto landscaping company focused on landscape design, lawn care and maintenance, and construction for residential and commercial clients. Facebook fans 4,859. Twitter followers n/a. Seattle, WA About Blog With this blog Scot Eckley hopes to catalogue his field notes of photos, project designs, events and designers that inspire great garden design and outdoor living. It is also a way to share the exciting events and milestones happening at Scot Eckley Inc.
Cedar Hills, UT About Blog Established in 1998, Platinum has made it their responsibility to create breathtaking landscapes for residential and commercial clients across the northwest. Facebook fans 85. Twitter followers 8. Princeton, Ontario About Blog Mountview Services Inc., also known as Mountview Landscaping, has been operating as a professional service firm in excess of 25 years. Our goal is to be your single source for year round horticultural property maintenance and construction. As such we have staff members specialized in a variety of outdoor skill sets. Facebook fans 438. Twitter followers 685. Portland About Blog Follow this blog to get great tips from a trusted Portland landscaping company. Learn more about design & maintenance for water features, patios, what to plant & more. Facebook fans 730. Twitter followers 388. 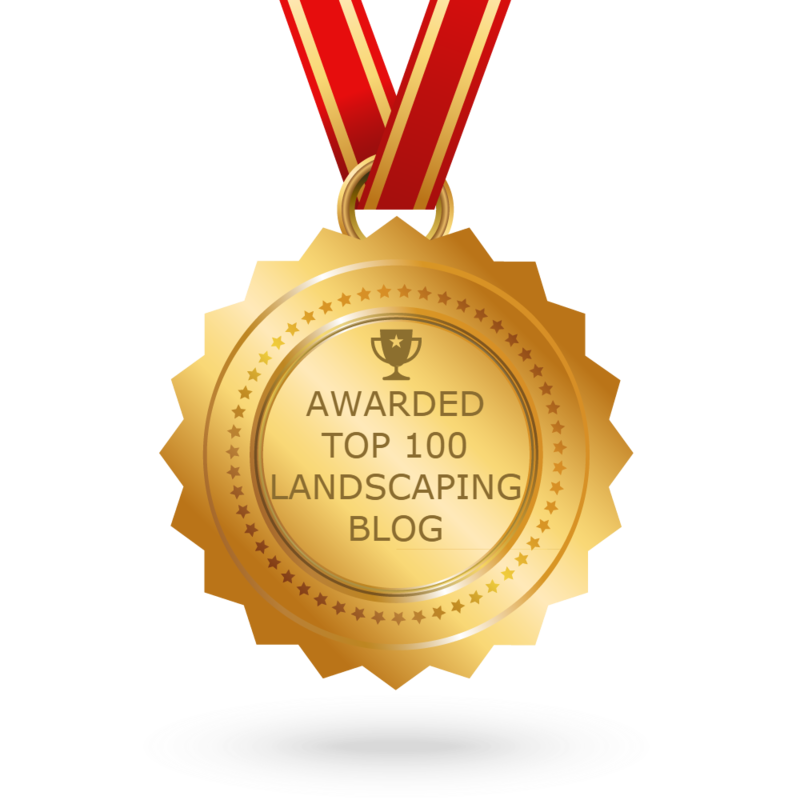 CONGRATULATIONS to every blogger that has made this Top Landscaping Blogs list! This is the most comprehensive list of best Landscaping blogs on the internet and I’m honoured to have you as part of this! I personally give you a high-five and want to thank you for your contribution to this world.